Any American born between 1990 and 2000 probably doesn’t remember a world without smartphones, Facebook, and Game of Thrones. They also likely don’t recall a time when people kept their shoes on at airport security, could go all the way to the gate to see their friends off, or thought “Patriot Act” was just a good deed. Today’s 15 to 25 year olds don’t know an America before the horrific events of September 2001. For American Muslims, membership in this generation presents additional challenges. Their religious community, according to polls, is among the least warmly regarded of any in the country and their country’s news media portrays their faith and community negatively 80% of the time. They face bullying, racial profiling and job discrimination. Moreover, they face the same challenges of growing up as any other American, from drug and alcohol abuse to online safety to risky sexual experiences. And like other Americans, their community also struggles with racism and a crisis of religious literacy. At the same time, American mosques leaders, like their counterparts in other faiths, are finding it difficult to meet the unique needs of young people. 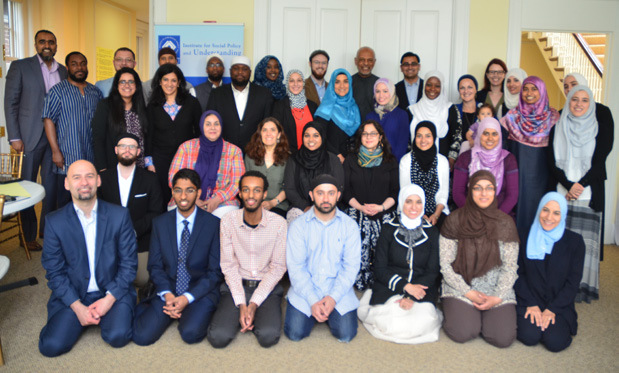 ISPU’s American Muslim youth brief series addresses some of these challenges and offers actionable recommendations for parents, community leaders and national organizations. Each brief can stand on its own or be used as part of the series for a comprehensive approach to tackling the hurdles faced by today’s youth and young adults. We brought together practitioners and academics, Imams and parents, local leaders and national figures, grandparents and college students to craft practical recommendations that could be applied in a variety of contexts. Though we set out to address a number of pressing topics, we make no claim that our series is exhaustive. There are important topics that we have not covered but hope to tackle in the future. These include off line bullying and the unique needs of refugee Muslim youth as examples. We hope these briefs help you meet the needs of this unique generation of American Muslims. We welcome your thoughts and questions.